Ahh amusements parks. Aren’t they just a wonderful place to be in? Less the over flowing number of people, the long lines, the overpriced tickets and food + beverages that cost twice than it really should. Haha but anyway. Yesterday was my cousin’s 12th birthday and she decided to go to an indoor/outdoor (I have no idea what category that amusement park falls under really so I’mma just drop that slash right there) amusement park. It opens at 2 in the afternoon and closes at around 11 pm. We got there at around 8 and boy was the place packed with people. Mostly because of students coming from different schools, probably the last place in their itinerary for their field trip. I got the pass for the entire park but I didn’t ride much. 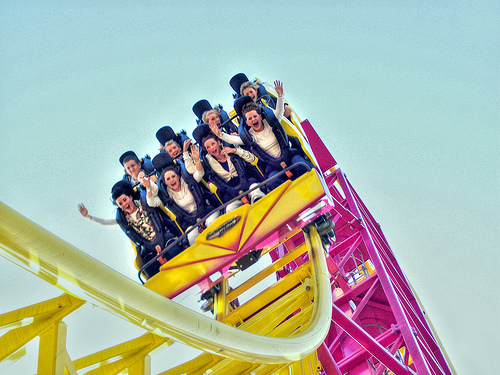 Now the last time I went to an amusement park… well yeah it’s been a while but I had fun. But comparing it with the experience of going to one as a kid and one as an older version of yourself? I wasn’t excited as much as I was before when I was a kid. I know amusement parks are suppose to be fun at any age that doesn’t involve a 60 and above in it but to tell you the truth I’d rather stay at home, listen to some good music and read a book. MAYBE I wasn’t in the mood or maybe it depends on the people you go with. Going with friends or a lover would be a different story. DEFINITELY. But I’m betting on the “I just wan’t in the mood” part for this just to be safe. There are some things that don’t change though. My fear of super fast, super scary, super idon’tevenknowwhatthatis roller coasters is still there. 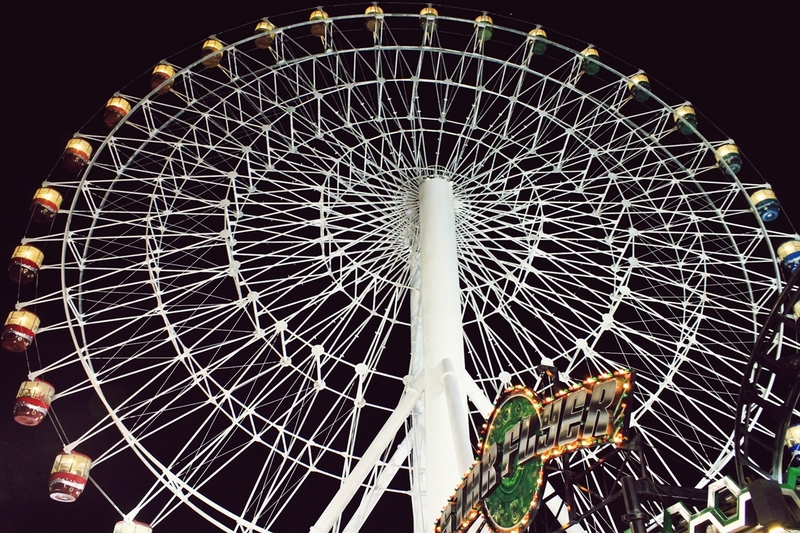 Or the ohmyglobisthatferriswheelsafeitstoodamnhigh phobia. There are also these walkthrough story books. Now these I liked. 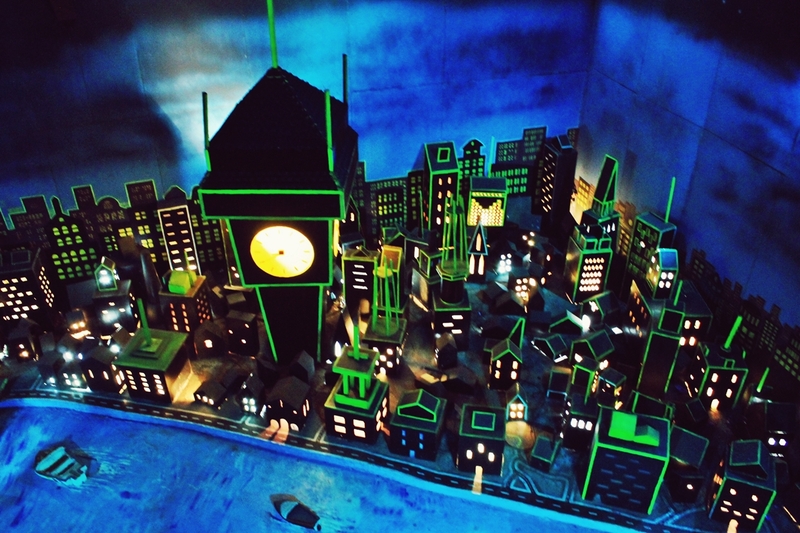 This particular picture is from the walkthrough of Peter Pan. I’m pretty sure majority of you know what it’s about. If you don’t, man have you lost a piece of your disney childhood. I especially liked this one part of it. Let me draw a picture for you. Now imagine a dimly lit room like it’s 9 pm at night, a few stars which are actually seperate tiny christmas light bulbs stuck on the walls that look like a starry night sky, you walking into the room on a black metal, but see through, bridge and under you is the city of london with the river in the middle and two towns on each side. It felt like you were flying through the skies with Peter Pan himself on your way to Neverland. I loved it. That’s pretty much the highlight of my Saturday night. How was your weekend? Hope yours was as interesting or better than mine. Over and Out.